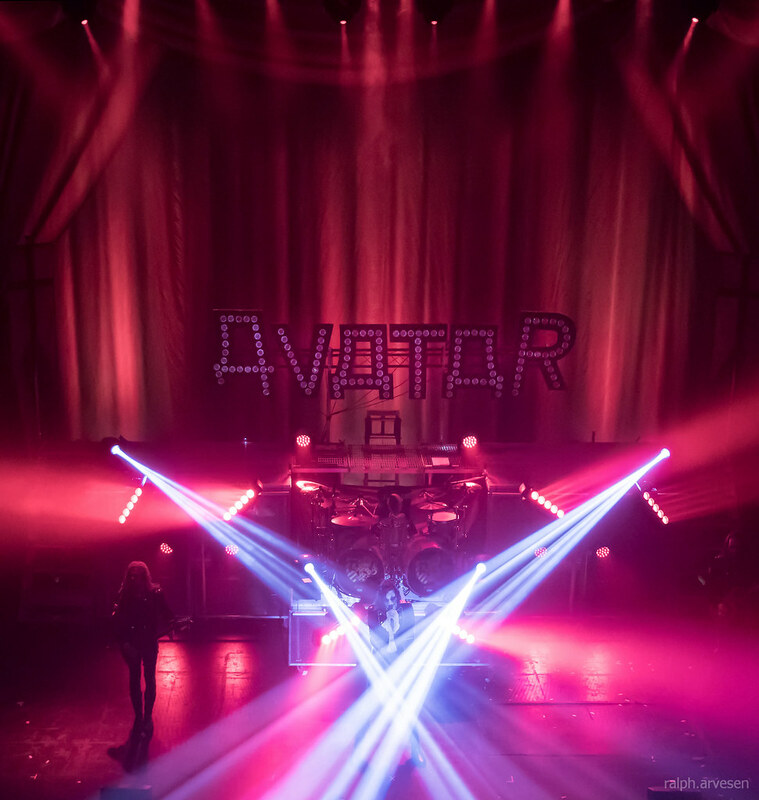 Avatar performing at the Aztec Theatre in San Antonio, Texas on January 21, 2018, with Johannes Eckerström, John Alfredsson, Kungen, Tim Öhrström, and Henrik Sandelin. 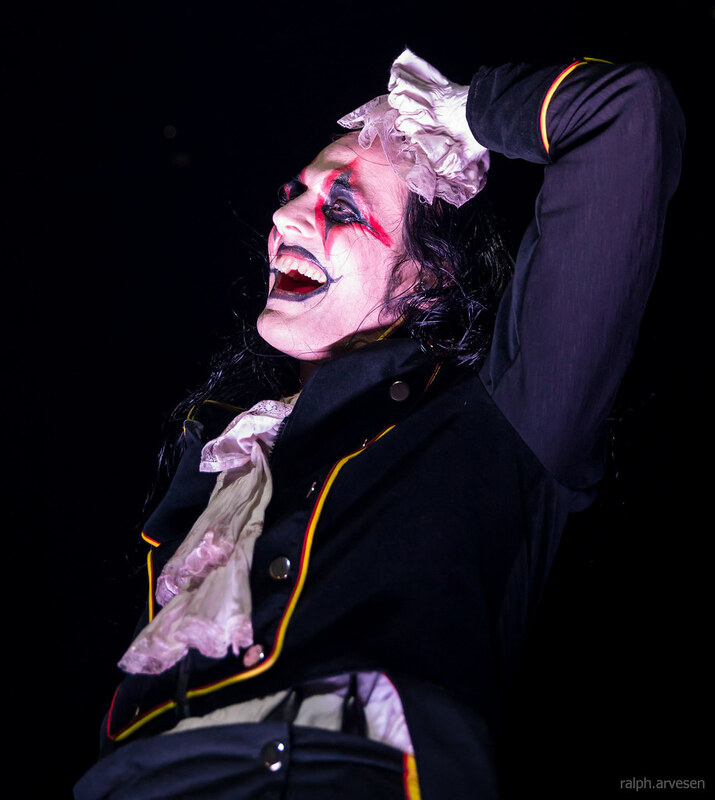 A dark, twisted circus sideshow that’s built around bombastically grooving melodic death n’ roll is swinging forward with captivating glee, mesmerizing merriment and the plundering power of lethal pirates toward those brave souls who hand over a ticket to be torn by Avatar and their Black Waltz, the fourth album and first proper American release from the Swedish masters of mayhem. 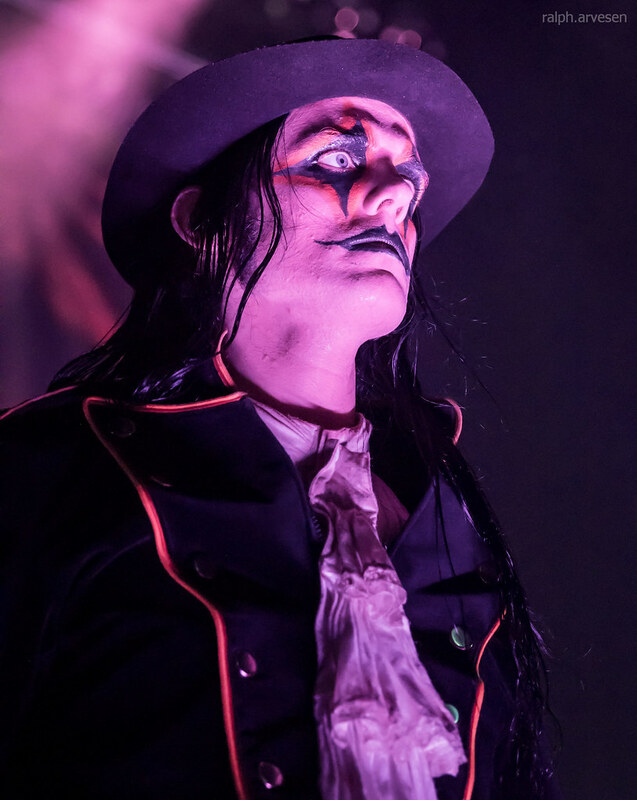 Within Avatar’s diverse songs, a steady focus on the fluid and organic power of the riff (recalling the thunderous foresight of heavy metal’s original wizards, Black Sabbath) takes flight combined with an adventurous sprit veering off into the astral planes of the psychedelic atmosphere conjured by pioneers like Pink Floyd back in the day. 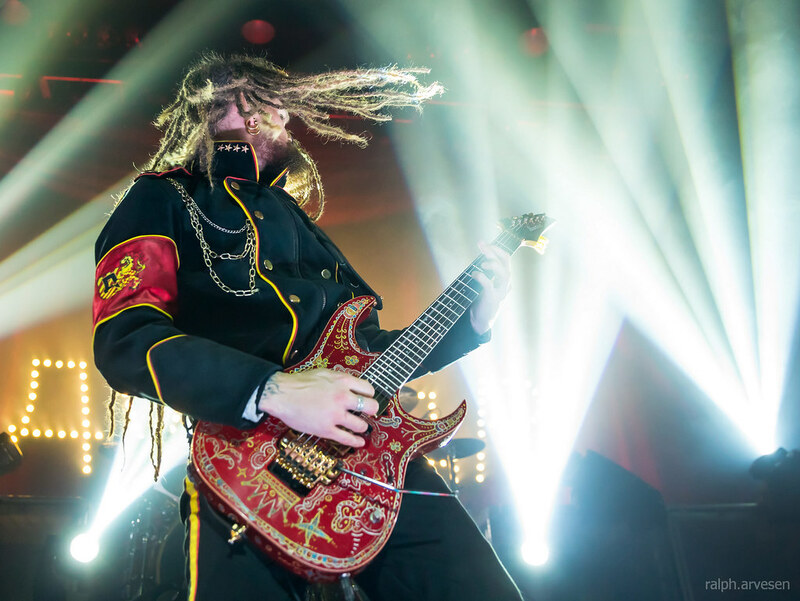 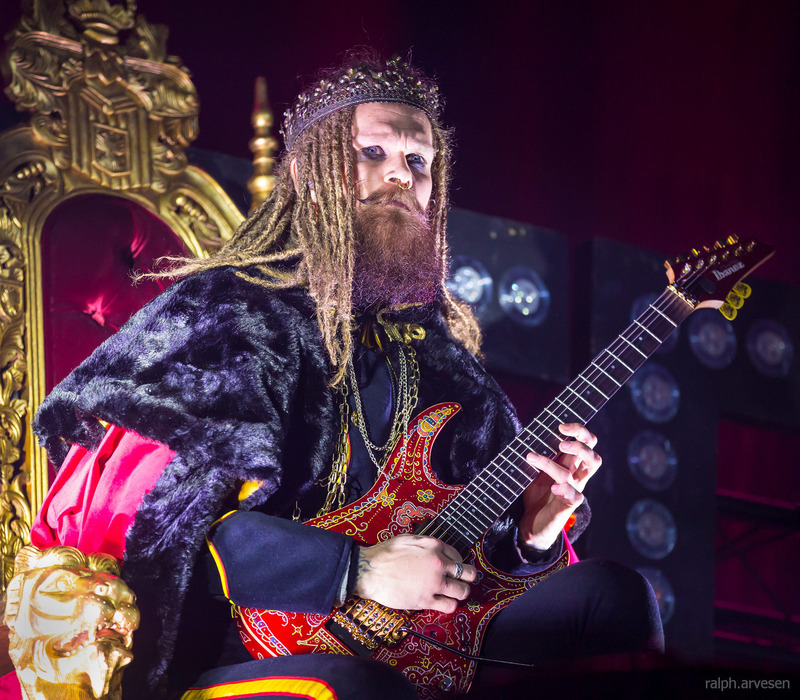 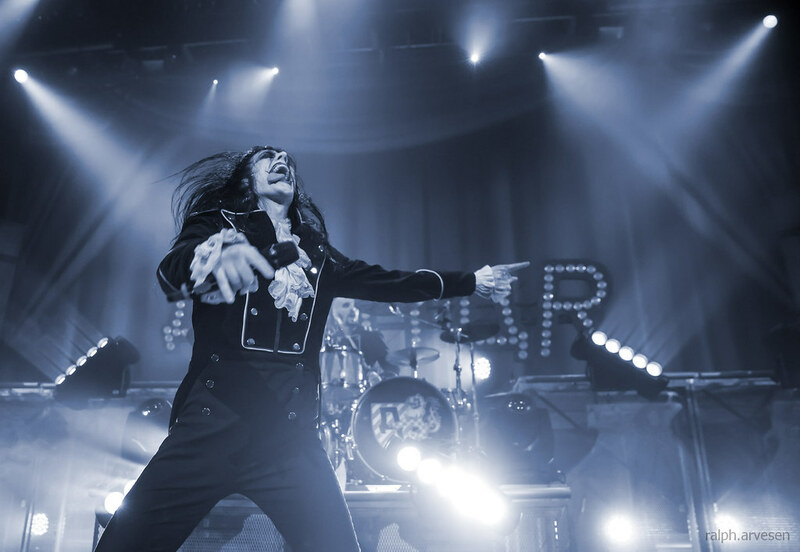 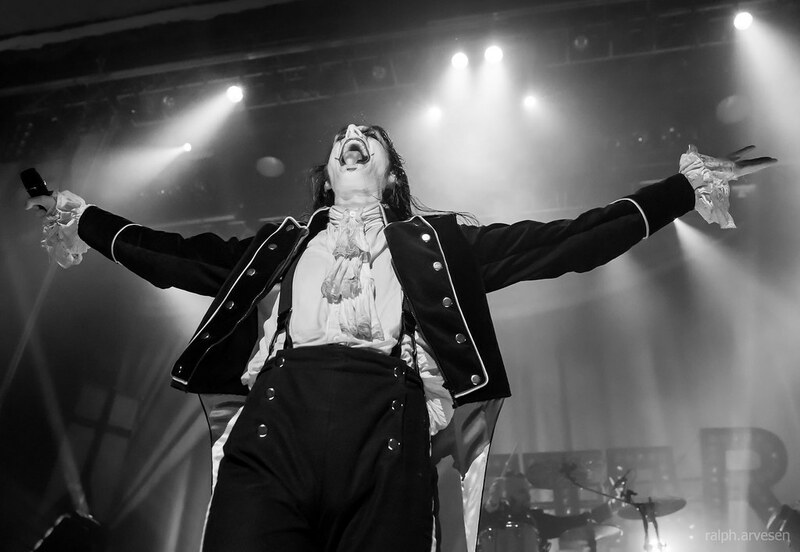 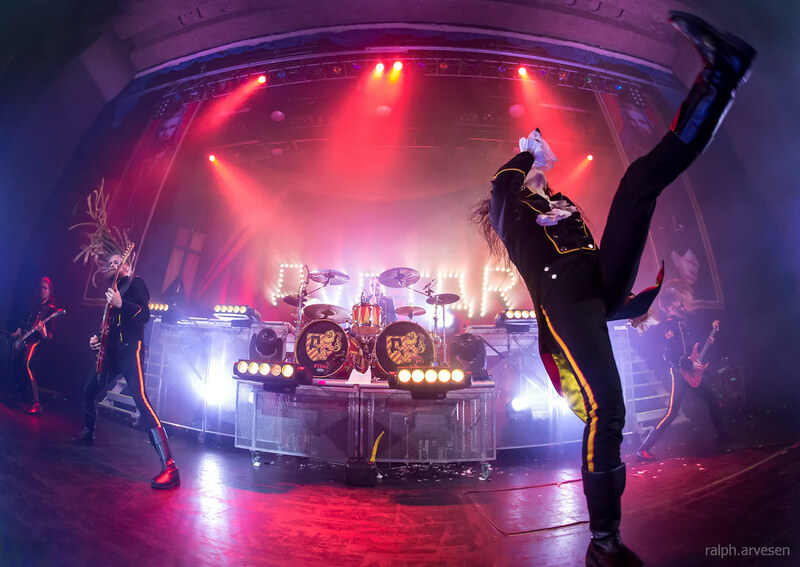 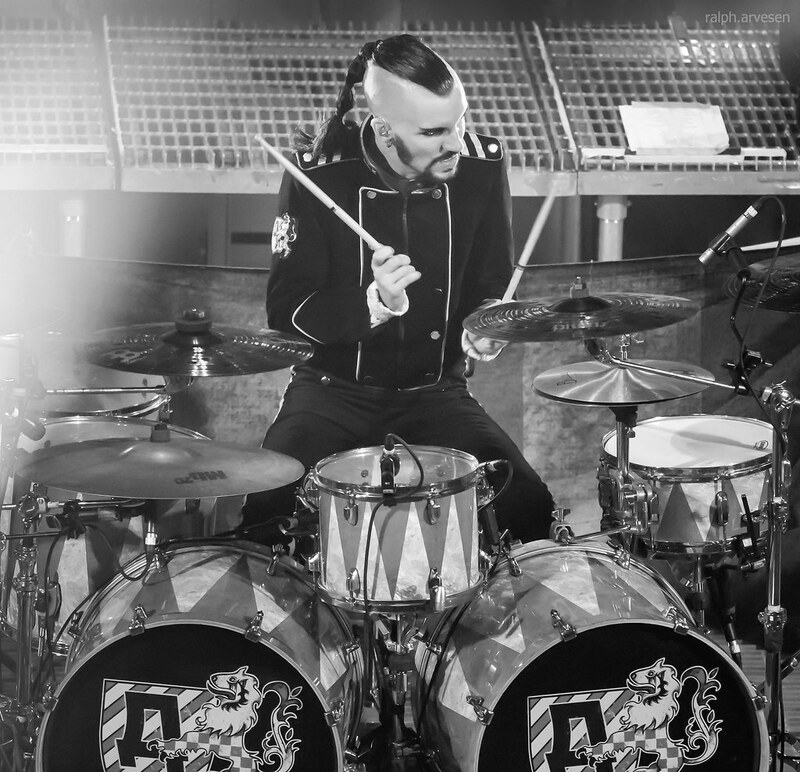 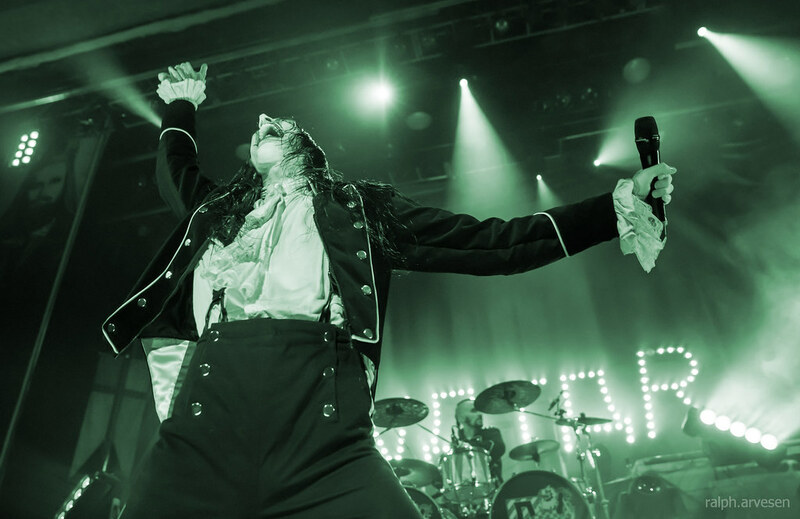 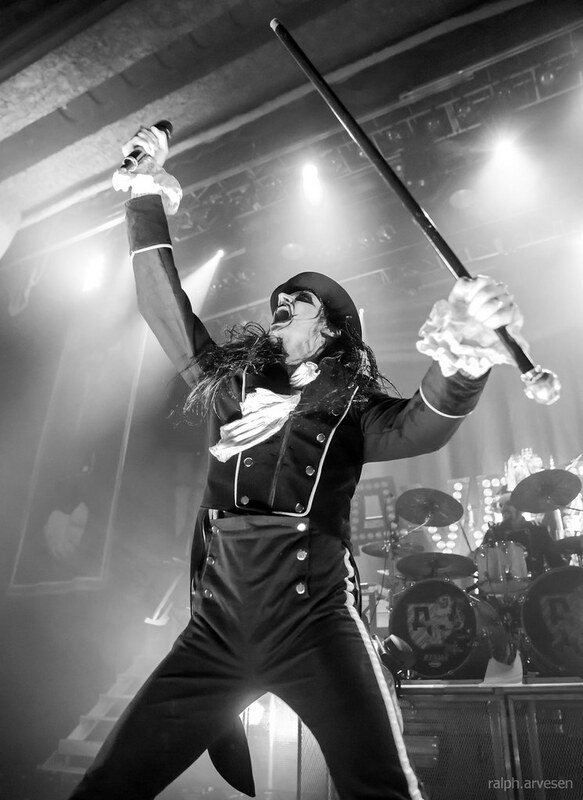 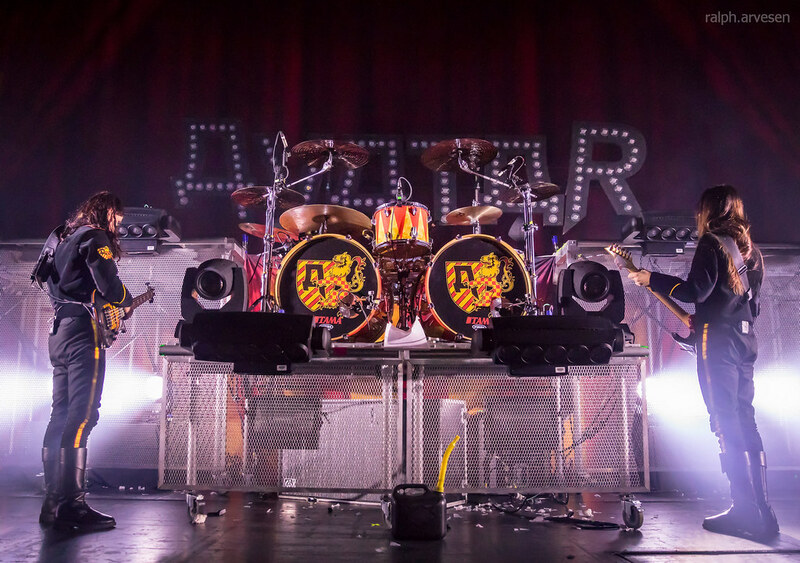 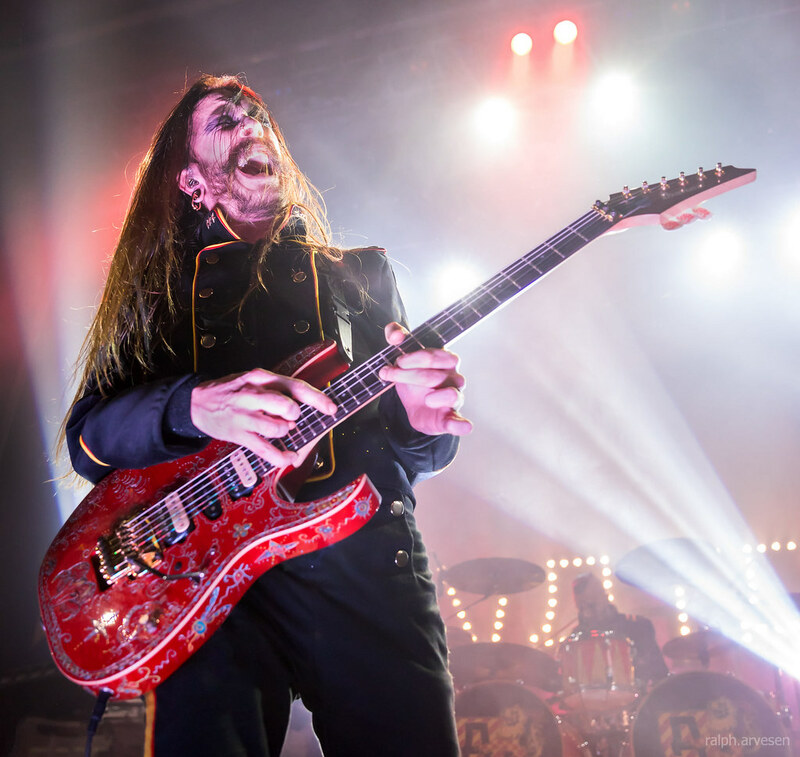 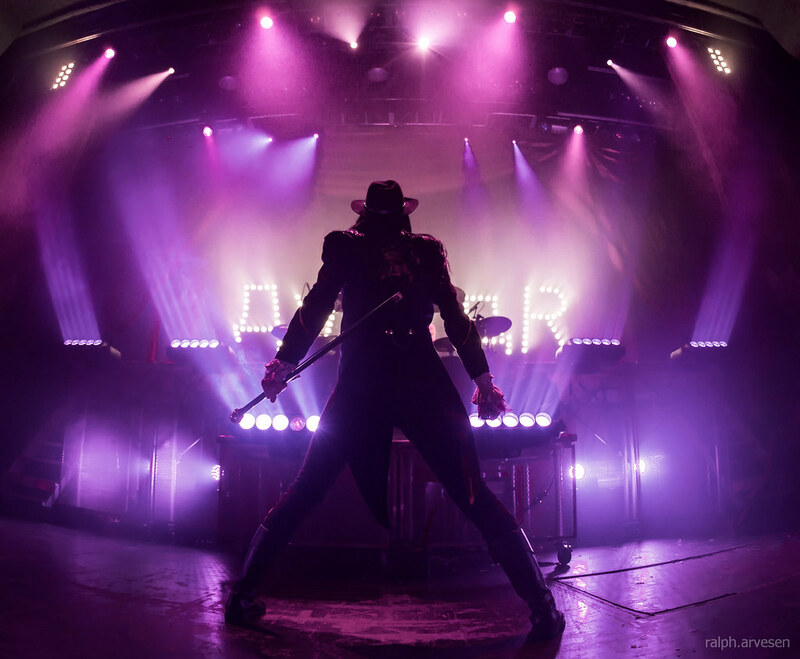 Avatar has found a footing that combines the best of rock n’ roll, hard rock and heavy metal’s past, present and future into an overall artistic presentation that is thought-provoking, challenging and altogether enchantingly electric. 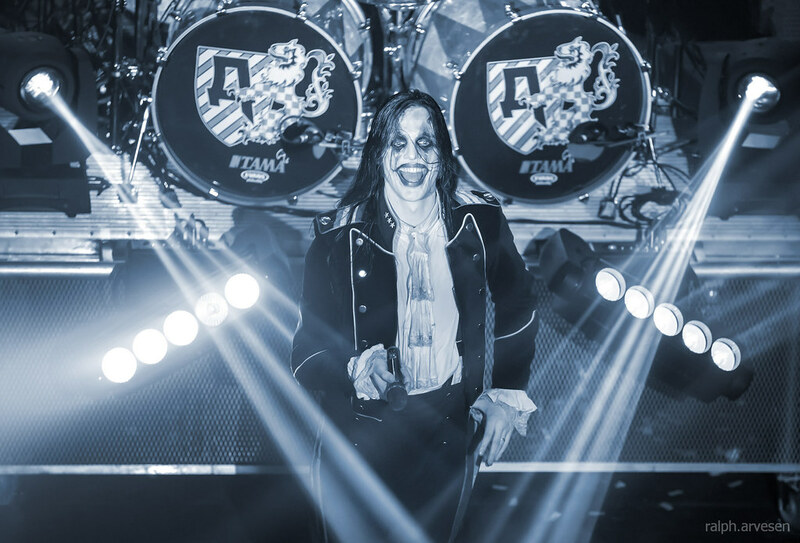 With the grandiose showmanship of American professional wrestling, the snake oil salesmanship of early 20th century vaudevillian troubadours and the kinetically superheroic power of early Kiss, Avatar lays waste to lesser mortals with ease. 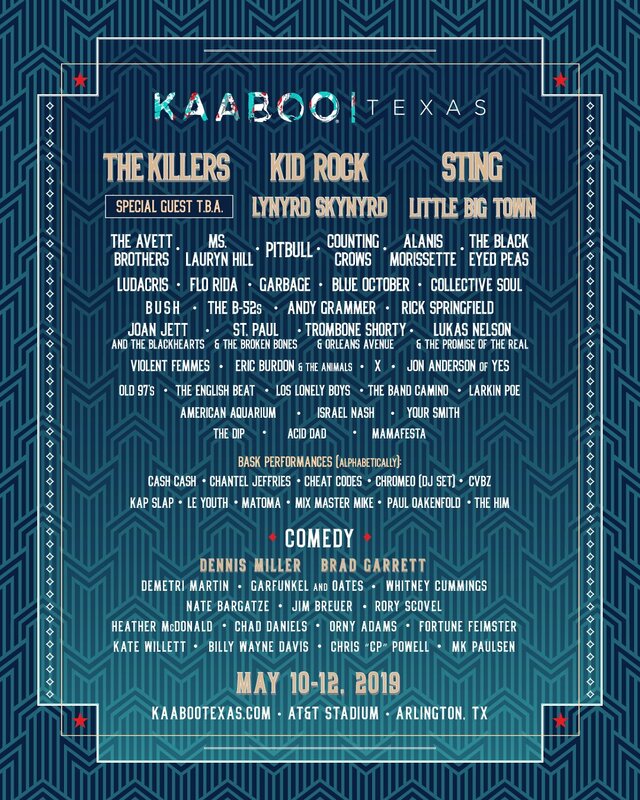 Whether somebody gets their rocks off listening to Satyricon or System of a Down, they’ll find something suitably deranged here. 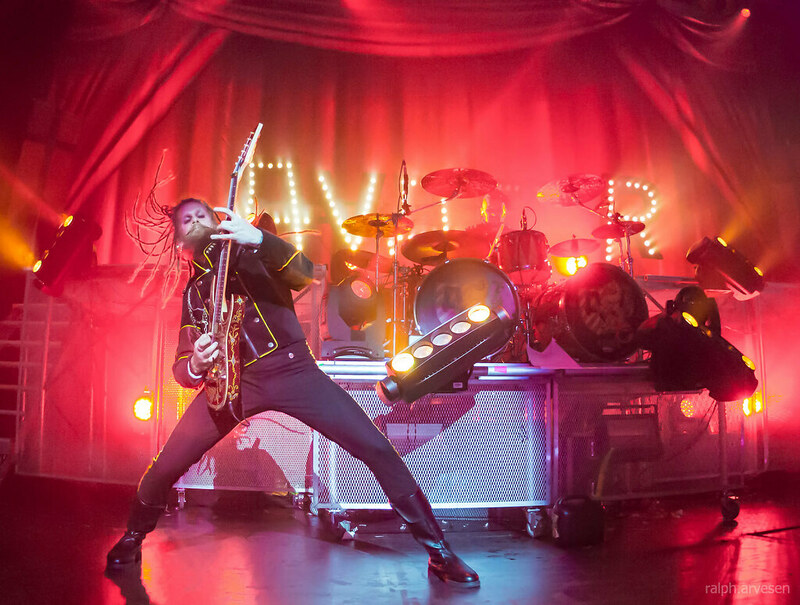 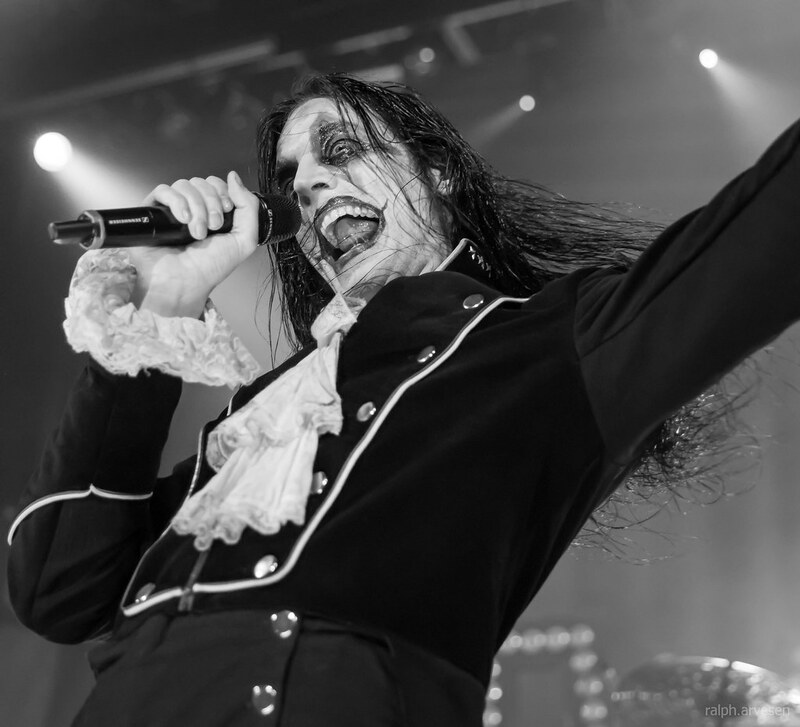 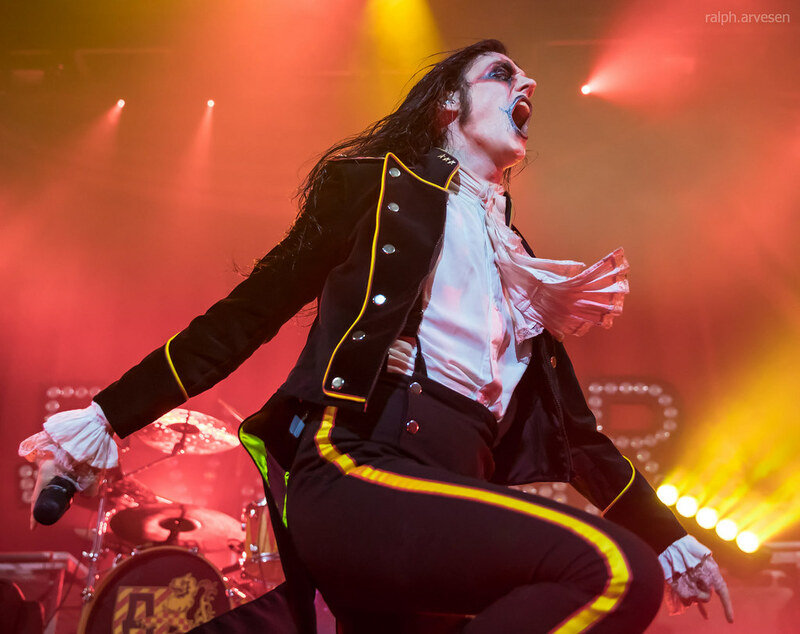 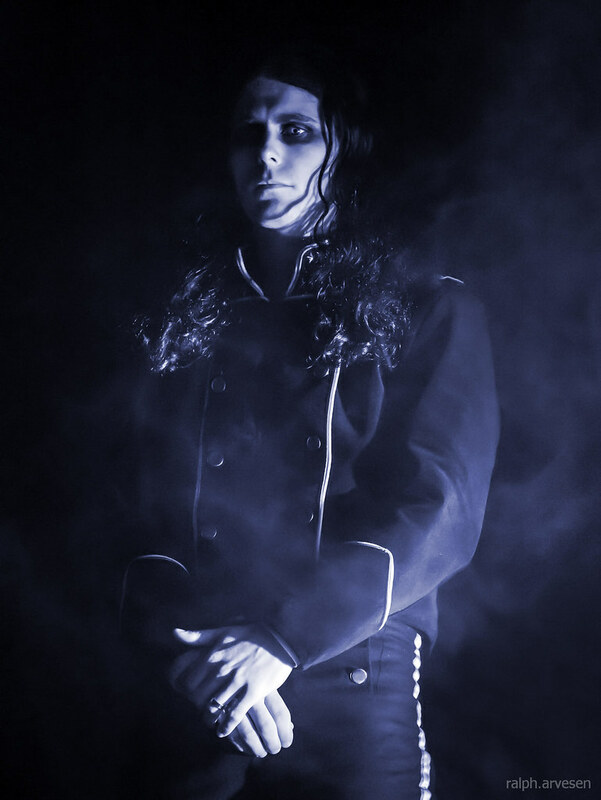 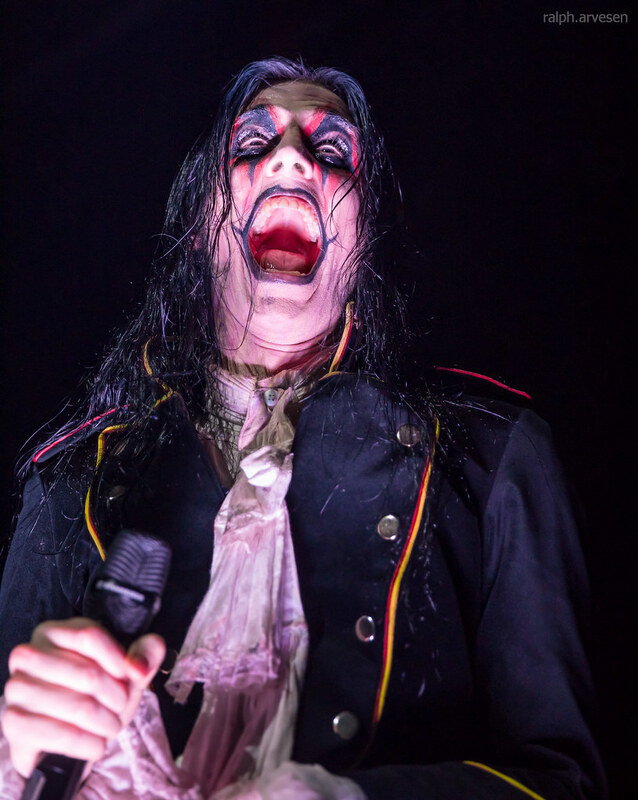 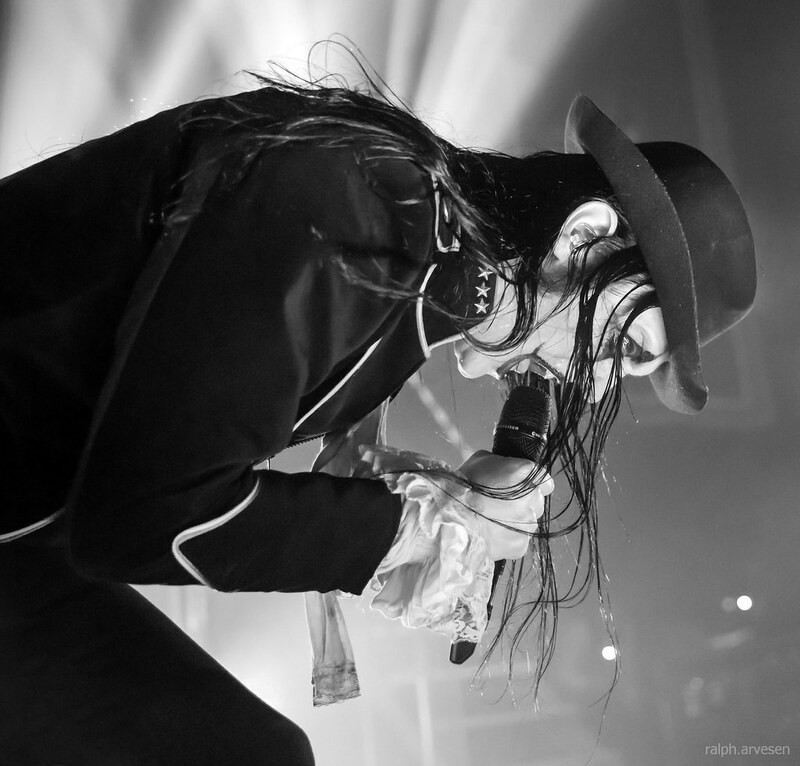 Avatar was the main act at the Aztec Theatre with guests The Brains and Hellzapoppin. 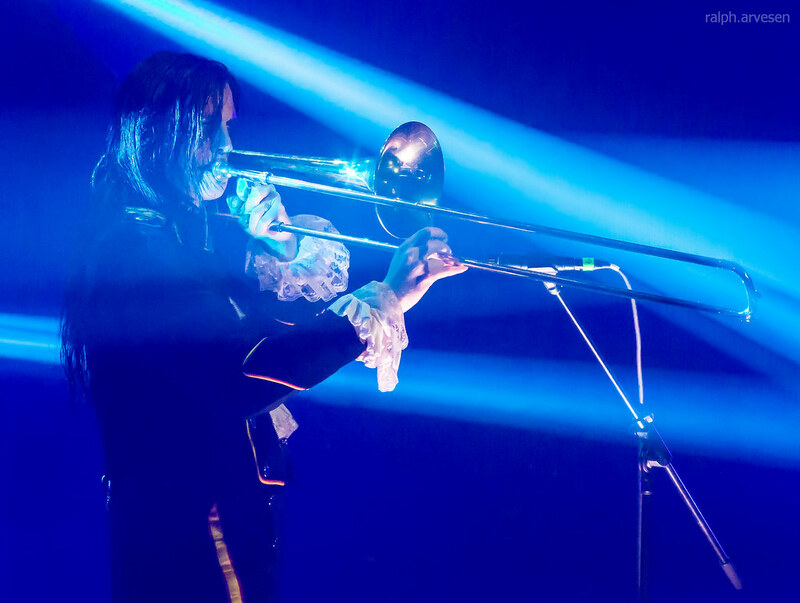 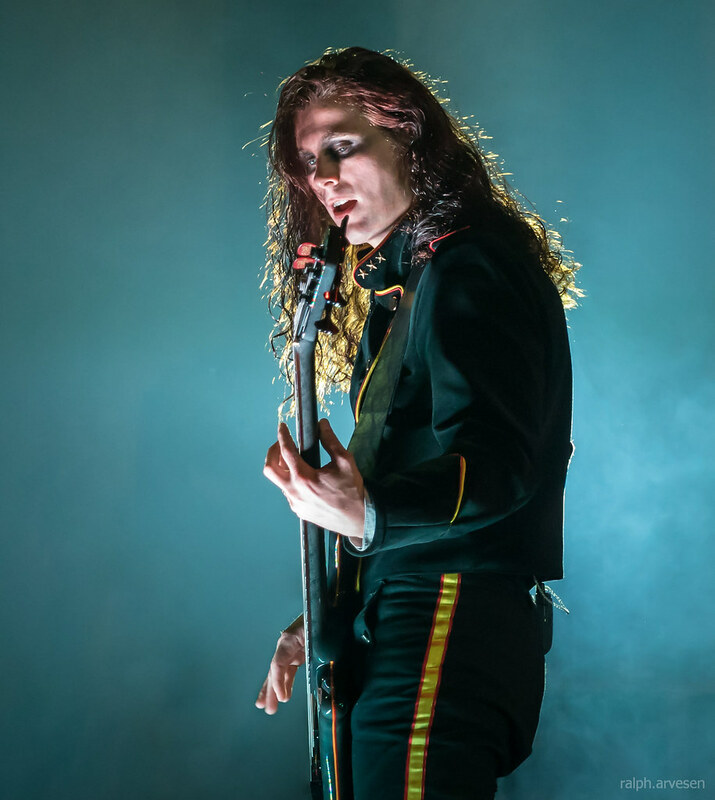 The band continues across the United States and Europe with the last stop at the Øyesletta in Kvinesdal, Norway on July 6, 2018.